Micro Test plates are made od optically clear, non-toxic polystyrene. These Plates with 96 U Bottom or flat bottom wells bear alpha-numeric index. Uniform placement of all the wells facilitate use of multi channel pipettes. 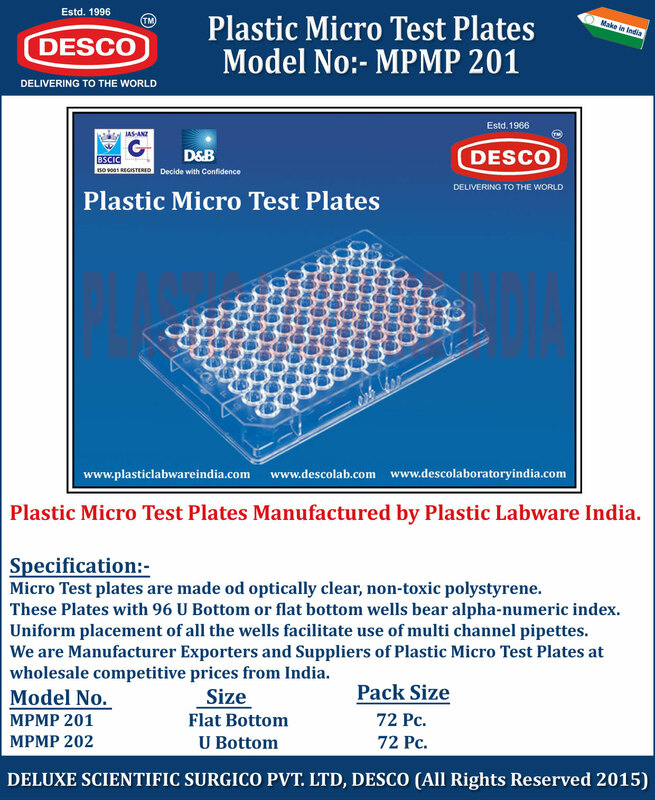 We are Manufacturer Exporters and Suppliers of Plastic Micro Test Plates at wholesale competitive prices from India. MPMP 201 Flat Bottom 72 Pc. MPMP 202 U Bottom 72 Pc.